June 5: 5 POWER Lessons From 5 Leaders Who Made History On This DAY! All of us are born to achieve. When you are born for it, remember you are born to struggle for it as well. But, struggles can also be simplified. Here are the snippets from winners’ encyclopedia which shall simplify your strive to achieve what you are here for. Go ahead and read on! There are hundreds who look upon you and get inspired from your achievements; there are thousands who appreciate your growth; but remember, there may be millions who are waiting for a change to ruin all that you’ve achieved so far. When can they do it? It is only when you give them a chance to do it. And when do you give a chance? It is when the level of your growth is reachable and achievable by others. The height to which you grow decides the sustenance of your growth. People can grow up to your level and push you down from there. So never forget that, your success can be bullied only when people reach the position of yours and then remove you from there. So never give them that chance. Reach the sky and become a star so that you can only be admired and not ruined. Dennis Gabor sparked with the light of success. He indeed became a star such that he glued to the throne of success. The Hungarian-British electrical engineer and physicist was called the father of holography, as he invented it. He won the 1971 Nobel Prize in Physics and this stabilized his growth because winning a noble prize is like sculpting your signature which not all can do. His achievements only made people to try hard and strive hard to reach his level. That’s life all about! Salvatore Ferragamo magnified his thought process. He created a prototype of his dreams in his mind and then started coding them onto the screens of reality. The Italian shoe designer founded Salvatore Ferragamo S.p.A. Born in a poor family; he made his first pair of shoes by developing it in his mind. No shoes would’ve come into existence if he never believed in it. Having started shoe-making at 9 years of age, he opened a small store. Gradually, after working with many Hollywood stars, he founded the eponymous company making unique handmade footwear. In this way, he continued to grow without a stop. You read it right! Life is only about growing. But remember, ‘growing’ requires lot of things to be done. Growth is when you improve. It is when you think positive and behave positively. Purify your heart, soul and mind. Strain out the negatives, the short term pleasures and paucities. Stuff your life with dreams, goals, hope, belief and confidence. Growing doesn’t involve just a single process of stepping up the progressive ladder. It is a package of processes which all help in building your life and changing you into a better person. Ultimately, what matters is the standard and quality of life that turns your life into a masterpiece. This is something that helps you stand and remain as a role model, icon and idol for the world to look upon, follow and achieve. So all this together is something that makes growth, an overall and ultimate and most expensive jewel for life. Along with climbing up every step of the staircase of growth, John Maynard Keynes noted the learnings and changes which mentored his further journey. That’s how he became a better person every day. 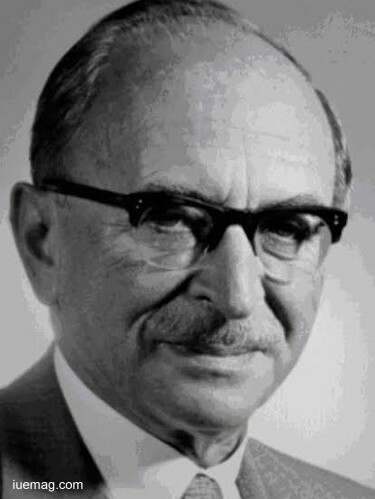 The ideas of British economist fundamentally changed the theory and practice of macroeconomics. He reshaped the economic policies of governments. This marked his growth. And an overall efficient thought process, dedication and determination took him to the peak of this staircase. 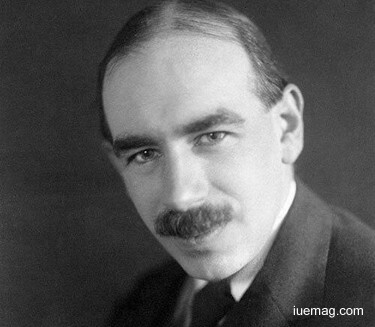 As an honor, there is the school of thought known as Keynesian economics, which is based on his ideas. People are not chosen based on looks and the kind of dressing sense or communication skills or other materialistic parameters, by nature to shower success upon. Success, all by itself drives towards people who really want it in their lives. Success is the car which is drove by the almighty. Only the deserving souls, zealous minds and passionate hearts are allowed to get into this luxurious car and enjoy the treat of journeying. No one is judged and on one can be judged on this earth. Everything happens according to how you receive things, how you look at them and how you work on them. You got to prove to the world, that you are capable of doing and achieving anything and everything in this world. 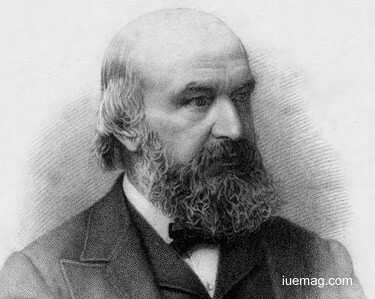 John Couch Adams tirelessly served at what he was supposed to. His quality efforts, ‘sincerity without expectations’ attitude and love for his work held him high up in the sky of victory. The British mathematician and astronomer never doubted but decided to make his stay on this planet, a purposeful one. He is known for his most famous achievement which was to predict the existence and position of Neptune, using only mathematics alone. He was a reason for Neptune to be considered as a planet. Neptune's outermost known ring and the asteroid 1996 Adams and many more are all named after him. He never cared about the worldly parameters which are usually used to judge a person but, he employed his enthusiasm, curiosity and compassion to shape his life. When something good happens in your life, when you achieve something which you always wanted to, when you push yourself living the toughest part of your life and when you contribute in bettering another person’s life, you got to credit yourself, treat yourself and look upon yourself; crown yourself and no one else. If you feel that you are the only one who is responsible for the growth you experience, then you got to blame yourself and no one else if anything bad happens in your life which retards your growth. You may get immense guidance, tips, encouragement, push and everything that adds to your journey towards success, but it is ultimately you who is supposed to trust and act. If you don’t act then you cannot make any difference. Roy Thomson respected his thoughts. He ensured that he always did something which would either fetch him a learning experience for life or an achievement for life. He worked as a farmer, and held several different jobs until he was directed to his destiny. 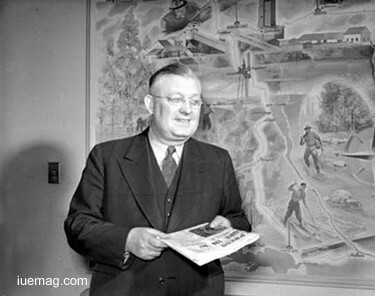 The Canadian newspaper proprietor acquired his first newspaper, with a down payment of $200. Having been rejected by the army for his poor eyesight, he accepted the fact that only his decisions and actions would contribute to his growth and behaved in the same way. Lessons are not meant to be learnt alone. They are meant to be applied. You become a better person and acquire an overall development when you interpret the situations in the right way and behave in a much more matured manner and that’s when your growth flourishes.